the knitting mojo that is. It was hiding in the Christmas stocking that I set aside a few months ago. The stocking was carefully tucked away by my phone charger. I went to charge my phone and up came the stocking! the red on the photo’s top is actually the heel. Somehow or another the last row finished before condemning it to temporary banishment must be the tightest row I have ever knit. Not sure who I was mad at when I set this one aside but – wow! 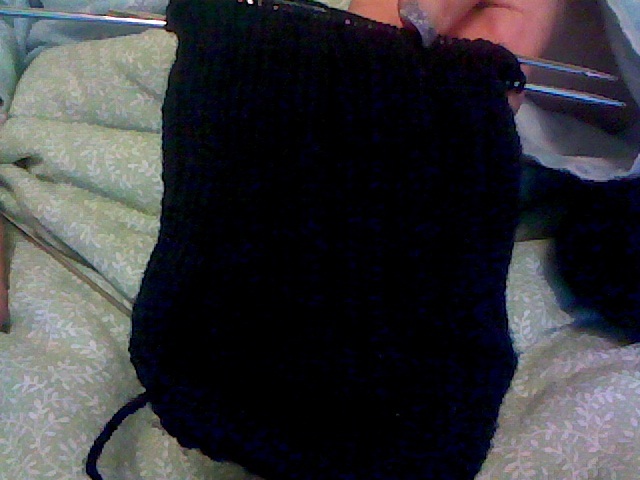 The gusset is finished now and have about 1/2″ done on the foot. His Navy socks are coming right along as well: The pic doesn’t show it very well but the instep is 4×2 rib. 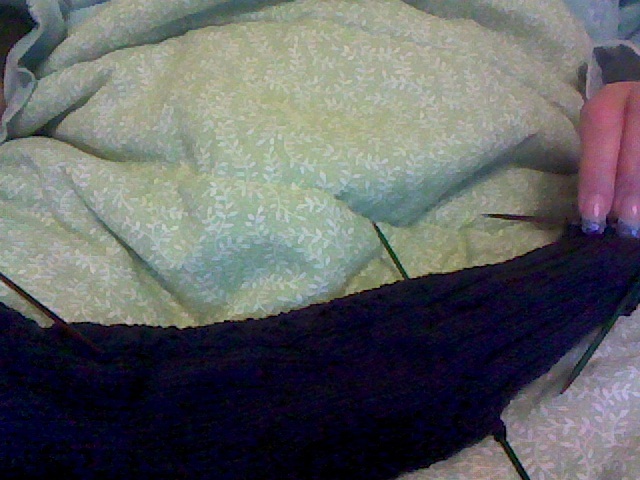 I’m about 1/2 way through the foot on the first sock. You’ll notice the toe is fairly square which eliminates the mountain effect. 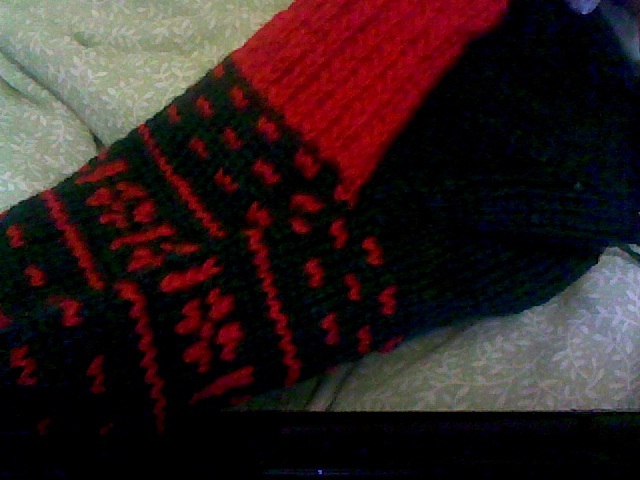 It’s been a while since I did a toe-up sock and I’m remembering that I really do like them. And…. Marci’s Nippers are making progress too! 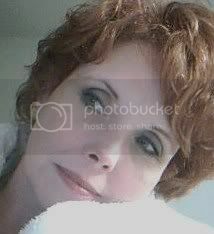 Unfortunately, they won’t be finished before she moves to Seattle but I just happen to know where the Post Office is. 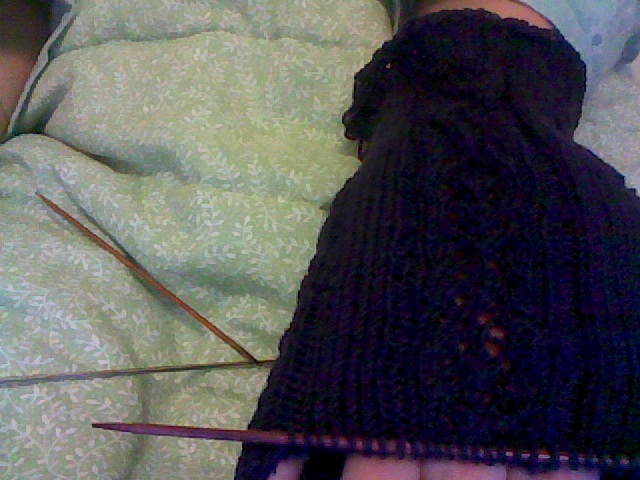 The heel flap is done and working on the heel turn. The 3 panels of lace are working out really well. I may make another pair for myself later on.